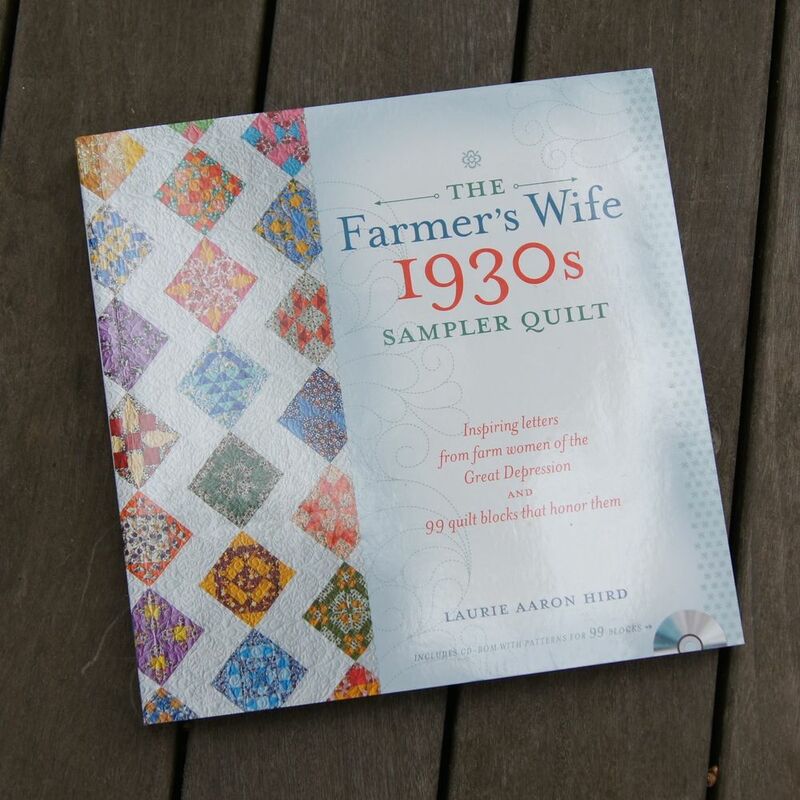 Laurie Aaron Hird's new book, The Farmer's Wife 1930's Sampler Quilt, is a real gem on a number of levels. The book has patterns for 99 quilt blocks! They range from easy to challenging. But good news! The book comes with a CD which includes rotary cutting instructions, paper piecing foundation patterns and templates which you can cut if you prefer to do that. All the information on the CD is in PDF form which is great. The CD will work on a Mac as well as a PC. All you need to retrieve the information is Adobe Reader, a free app which can be downloaded for PC or Mac. (See the right sidebar in the link above if you need to download it). Maybe even better than the quilt blocks and patterns are the letters re-published from the "The Farmer's Wife" magazine which were written to the editor in the 1930's. It was the Great Depression. But the letters are so up beat. They are reflections of what the women were coping with and reading them, you can see how they were able to cope. They did better than "making do." They enjoyed what they had and were so grateful for the world around them on their farms. Many of these women had a great faith in God. I've thought several times that this book could well be used as a devotional, in addition to a reference for quilt blocks. Even if you never make a block from the book, though I expect you will, you will enjoy getting a glimpse into the lives of farmer's wives during the Great Depression. They say that the men who fought during World War II were the "Greatest Generation." You'll know why that was true when you read these letters written by many of their mothers! Do pick up a copy. I think you'll be glad you did!